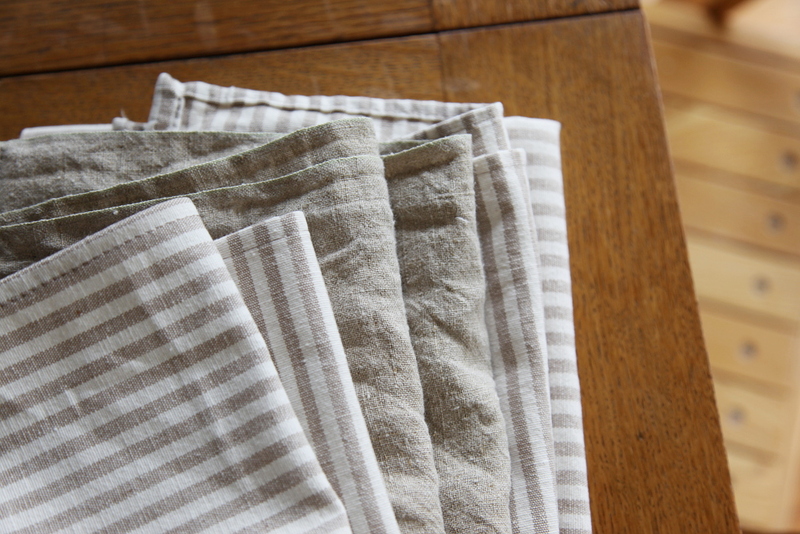 Last week’s linen project… a set of humble, hard working dish towels and a couple table napkins, too. This is one of the easiest projects ever. 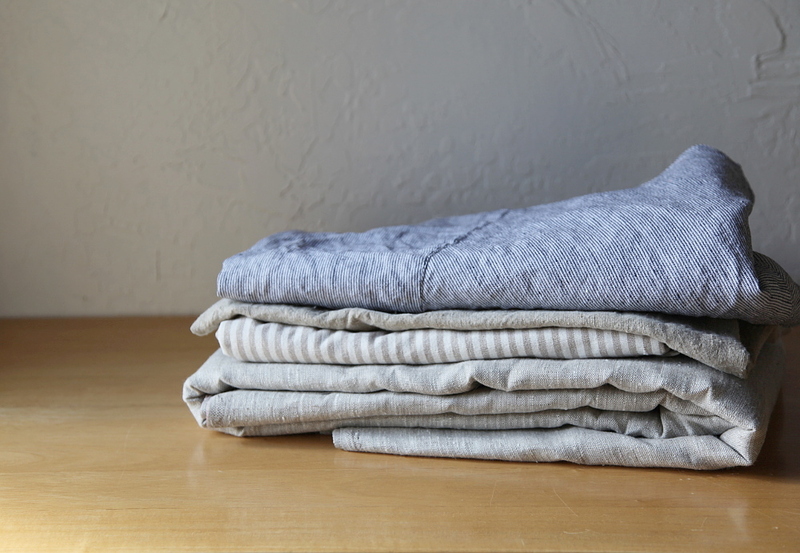 Simply cut to your desired size – leaving room for seam allowance – and hem. 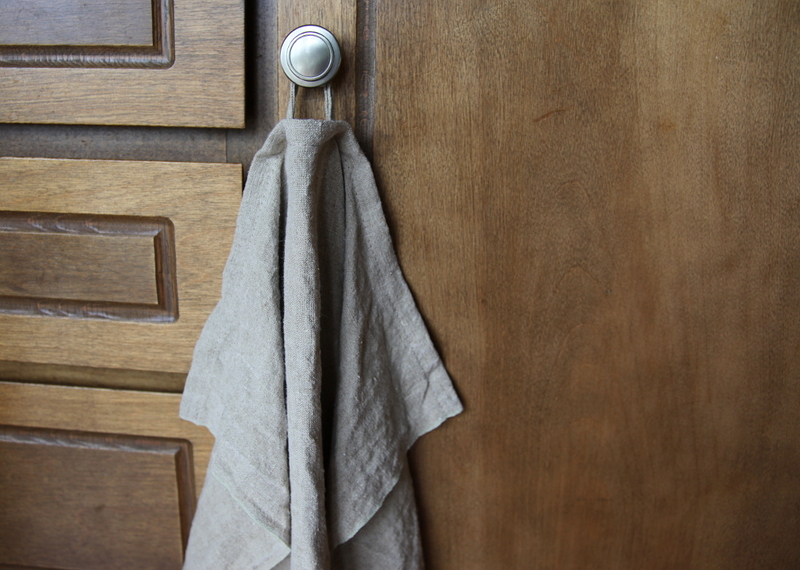 I included loops on the towels, to allow us to hang them from a cabinet knob next to the sink. This week I’m working on something from my wardrobe. This project is a mix of fun and practical. I’ll share once I’m done. 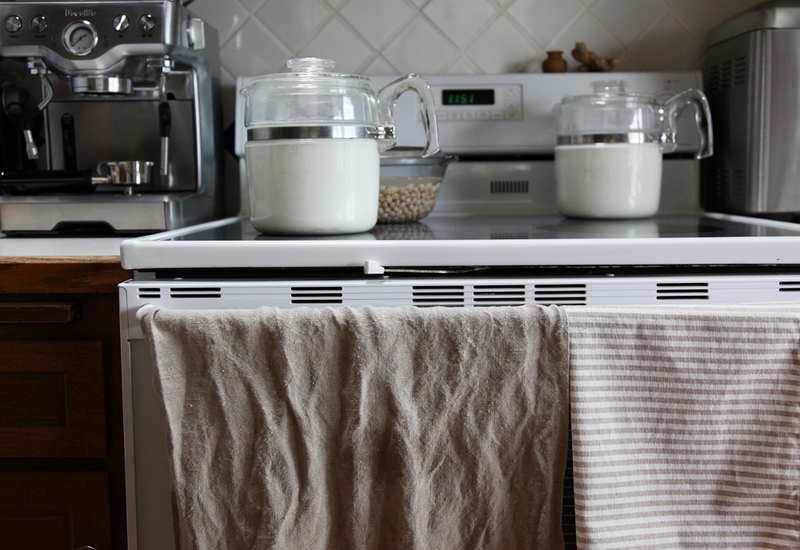 Aaaand, I’ll be back soon with a post on how I make yogurt! I have had a few requests over the last year, and have been meaning to post about it for a while. 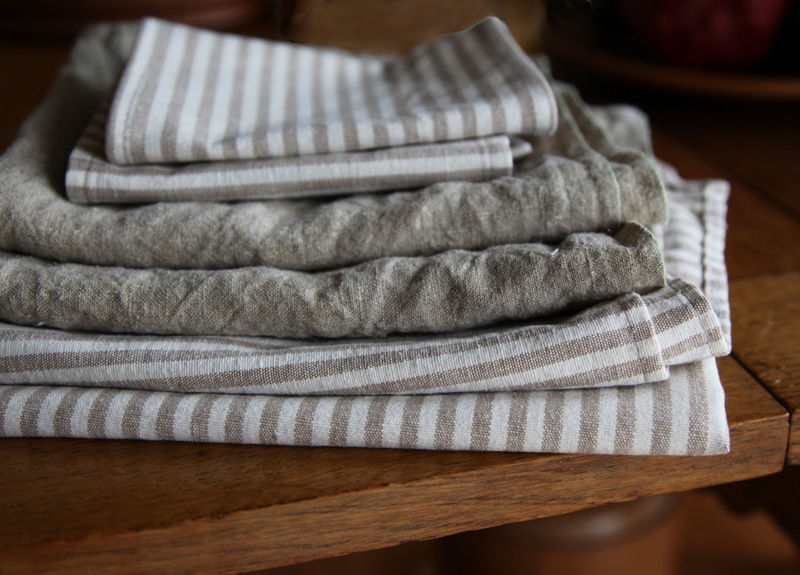 Loved this video about European linen. Seeing this process gives me that feeling I talked about once, in my Etsy featured seller interview. The name “infusion” came from the feeling of the weave of a rich, thick, un-dyed linen. 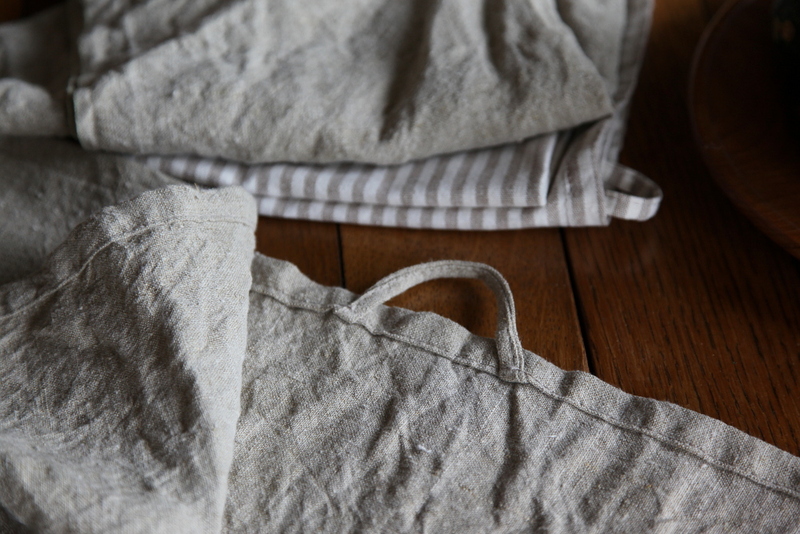 Linen – it’s smell, it’s physical texture, it’s visual characteristics – is one of those things that affects me almost physically – it excites some part of me. 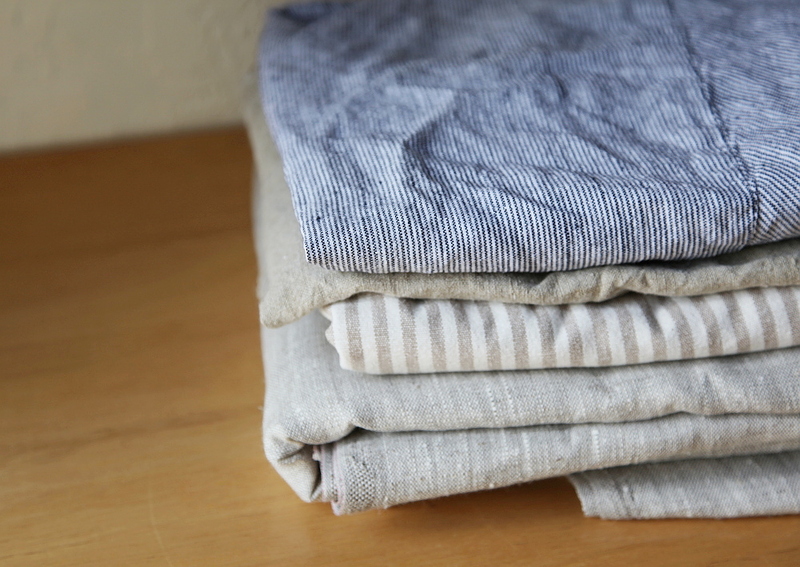 I really loved hearing them refer to linen as a living material.